Hi guys. I’m back! 🙂 I realize that I haven’t posted in days. Sorry about that. Although I did have internet access, I was getting back to my friend’s place super late (2:30am) every night and then getting up at 8 or 9 am in the morning every day. 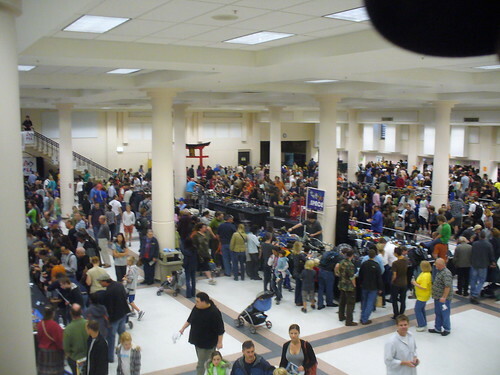 As you can see in the picture, the public hours of BrickCon were packed and we had a record number of public guests — 10,815!!!! 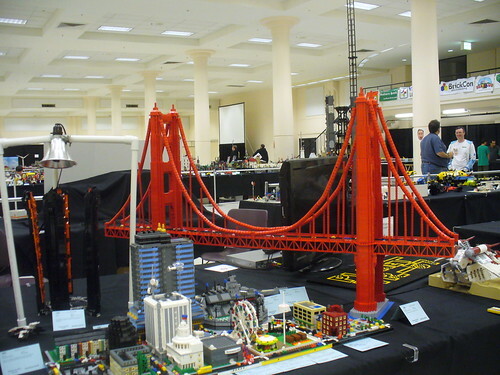 I brought my 5 foot long Microscale Golden Gate Bridge. 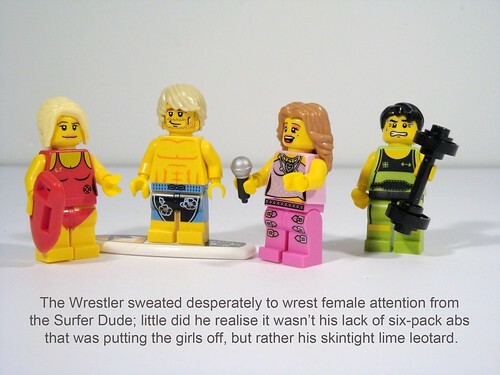 Yes, I said Microscale. It may be rather large for a Micro, but at the same time, so is the Golden Gate Bridge. 😉 If you look closely, you can see the micro cars on the bridge. 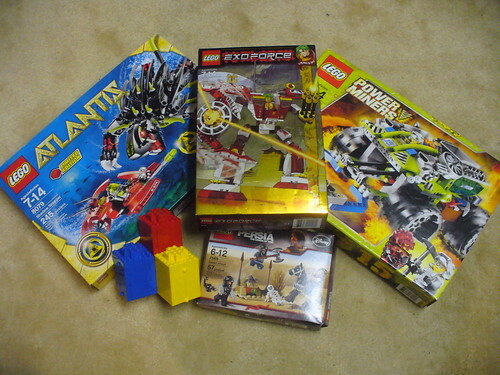 The loot — Sets I got for free, all except the BrickCon 3 brick model kit. 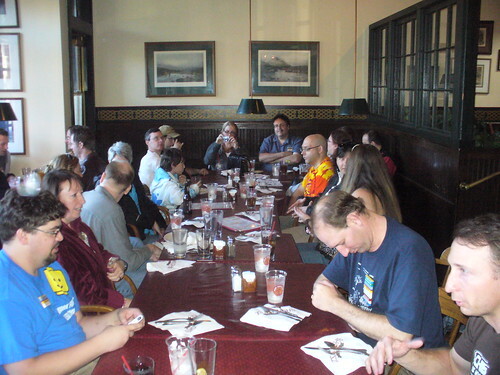 Here you can see just one of the many group dinners I attended. And no, Steve Witt does not have something on his head, its just a trick of the photo. 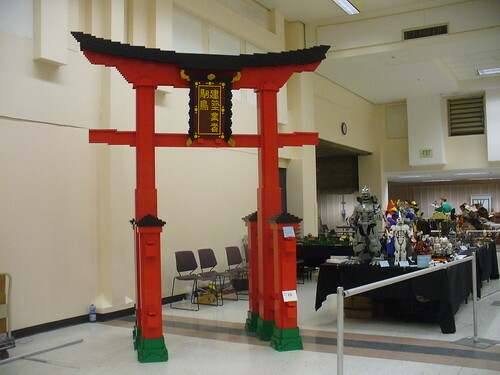 One of the coolest things was LCP (LEGO Certified Professional) Robin Sather’s Japanese Gate. This was a wonderful trip. I made a lot of new friends and was happy to hang out with all my old friends too. You can see more images on my Flickr photostream. 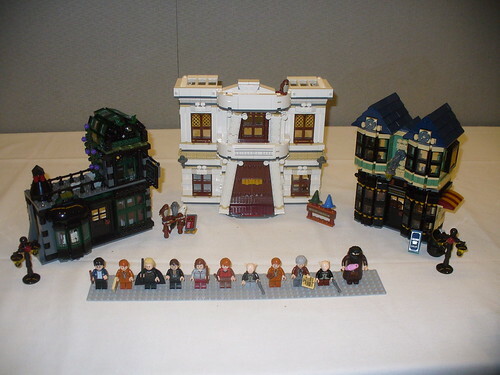 LEGO Harry Potter, The Video Game! Warner Bros. Interactive Entertainment and TT Games are teaming up with the LEGO Group, to merge two of the world’s most popular brands with the creation of LEGO® Harry Potter: Years 1-4. Based on the first four Harry Potter books and movies that tell the story of Harry’s first four years at Hogwarts™ School of Witchcraft and Wizardry, LEGO® Harry Potter: Years 1-4 offers an engaging mix of magical gameplay and light-hearted humor. LEGO® Harry Potter: Years 1-4 is being developed by TT Games and will be published by Warner Bros. Interactive Entertainment and is scheduled for release in 2010. LEGO® Harry Potter: Years 1-4 will give gamers the chance to experience the magic and adventure of Harry Potter in a uniquely LEGO way. Playing as Harry Potter, Ron Weasley™ and Hermione Granger™, as well as other favorite characters, gamers will have the opportunity to attend lessons, cast spells, mix potions, fly on broomsticks and complete tasks to earn house points. Throughout the game, players will also have the freedom to explore iconic settings from the wizarding world including Hogwarts castle, Diagon Alley™, the Forbidden Forest and the village of Hogsmeade™!